On the sunny morning of January 6, 1942, Joseph “Joe” Leber was arrested at the Guatemala City Tennis Club by Guatemalan police agents. Joe had left Germany in 1920 for the USA. He lived in New York for some six years before he moved to Latin America to work for US companies involved in export. He settled in Guatemala around 1929, where he continued to represent US and British export companies. In addition, he bought into a shoe factory owned by another German. He later bought out his partner and became the sole owner of the factory. Christmas Day, the 6th of January in Latin America, apparently was considered a handy time for a roundup of aliens, since it was difficult for the arrested to contact anybody for support, help or even information. The arrested persons were given a couple of hours to pack as many personal effects as they could carry. As a bachelor living alone, he could only leave a message for his housekeeper who believed when she read his note that he would return after a couple of months. Carrying two suitcases, he joined other rounded up fellow Germans from Guatemala. That same evening, the group was taken by train to Puerto Barrios on the north western coast of Guatemala. To pick up prisoners from Central America, the US Army had diverted the troop carrier Kent to Puerto Barrios. The Guatemalan Germans boarded this ship after spending the night from the 6th to the 7th of January 1942 sleeping on banana leaves on the railroad platform. From there, the prisoners were deported to the USA, probably to New Orleans. 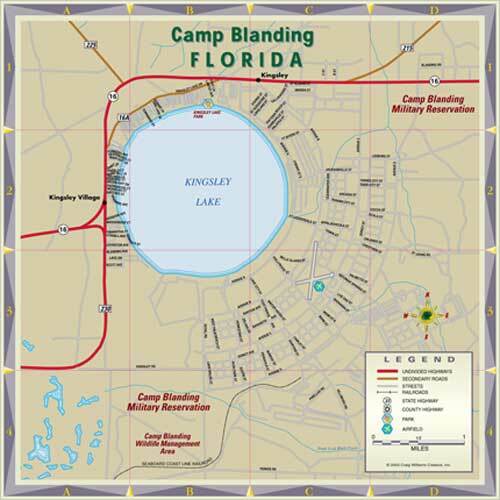 From there, they were taken to the US Army’s Camp Blanding in Stark, Florida, parts of which had been converted into a temporary internment camp. While in Camp Blanding, the deportees were given a chance to meet the Swiss consul to arrange things back home in Guatemala (property regulations, information to families etc.). The internees of Camp Blanding were then used as a kind of exchange commodity for the US, in a deal to release US citizens and other elements of interest to the US from German dominated territories, and were—against their will—taken to Germany, an operation for which the International Red Cross was used (or rather misused). Joseph Leber’s deportation voyage from New Orleans in the United States to Göteborg/Sweden, and then onward to war-time Nazi Germany started on 24 July 1942 in New Orleans where he boarded the SS “Drottningholm”, along with 116 other Germans from Guatemala. 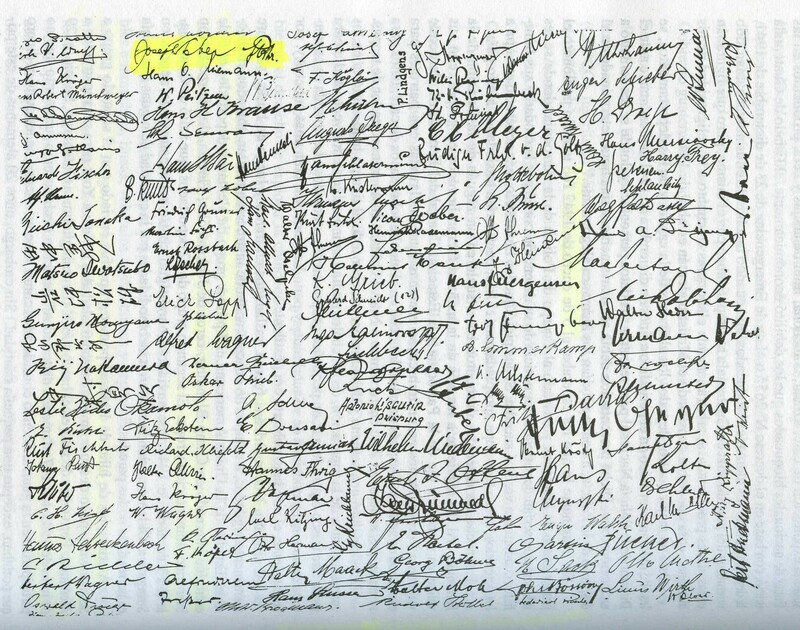 On a facsimile list of signatures of the 117 deportees published in Regina Wagner’s book “Los Alemanes en Guatemala”, I could identify the signature of my father, which was quite a touching moment. Copy of signatures of Guatemalan deportees, 1942. From S.S. Drottningholm, a Swedish ship used in exchanges of Latin American civilians to Germany (Joe Leber’s signature in yellow) — Los alemanes en Guatemala, 1828-1944, by Regina Wagner, Guatemala, 1996. The event of the deportation of the ex-Guatemalan Germans was reported in the Guatemalan daily “Nuestro Diario” of 29 July 1942, probably to assure those who had profited from the expropriations of real estate, farms, companies and assets that the deportees had to leave behind. During the passage, the deportees were asked to sign the following declaration: I bind myself under obligation of oath not to bear arms for the duration of the present war“. A similar declaration was made by the American exchange internees to the German authorities; both sides respected the declarations, and abstained from drafting the exchanged returnees into their respective armies. Joseph Leber, after his return to Germany and until the end of the war, was conscripted into a civilian “war relevant” assignment, as a manager in an aluminium plant. After the war, he returned to his little home town in the Black Forest (Tiengen, on the Swiss border), which he had left in 1920, and stood as an independent candidate for the post of the Mayor in the first democratic communal elections after Nazi dictatorship. However, the Military Government of the French Zone, which was in charge at the time, looked with a suspicious eye on this “American”— the communists thought him to be too capitalistic, and the conservatives and the church considered him to be too American-liberal. I personally think that in attitude and appearance he was probably more shaped by his 6 or so years in the US, then by the 15 years in Latin America. Anyway, the returning son of a family with ancient roots in this town was considered a stranger and not as welcome as he had expected. He was recognized as a refugee (just as those Germans deported from the lost German territories ceded to Poland and to the Soviet Union), but he was never compensated for his losses in real estate, his factory and business, or for his personal effects. Until his death (in 1965) he tried to fight for a compensation for his losses – in vain, as I found out when inheriting his documents and assets after the death of my mother, some time back. As long as he lived, after his deportation, he longed for Guatemala, which he always referred to as the country of eternal spring.